If you think the current consumer landscape is fragmented as it is, you need to brace yourself for the future. 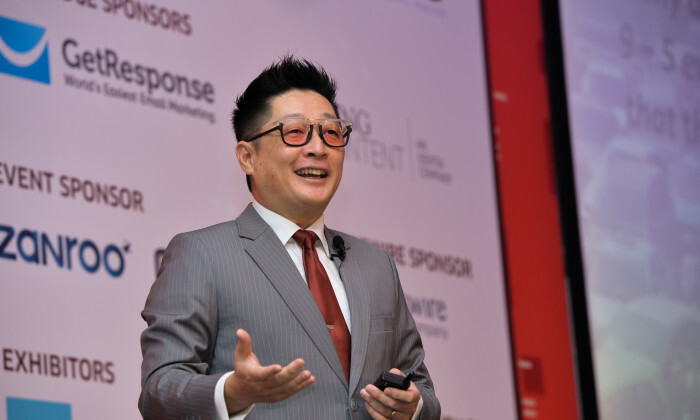 Mohamed Adam Wee Abdullah, group CMO and group chief customer experience officer at CIMB Group said that 2020 is going to get more fragmented and complicated. Wee was speaking at the recent conference held by A+M titled Digital Marketing Malaysia 2017. He said by 2020, there will be four different generations of consumers, the boomers (1946-1964), Gen X (1965-1980), Gen Y (1981-1999) and Gen Z (2000-2020) with buying power. In tackling this fragmented group, brands need to take a closer look at the attitude and factors unique to the different generations, to determine the shift in consumer attitudes and values. The composition of a generation during a particular time has a lot of implication on how you market to them and what policies need to be championed. For instance, in terms of purchasing influence – brands can probably count on boomers in buying their products based on brand loyalty. Interestingly, he labelled the Gen X as the brand switchers who embrace the current digital and data era. In contrast, the Gen Y is likely to acquire lesser brand loyalty, with purchasing decision relying a lot on friends’ recommendation. Lastly the Gen Z are basically the brand evangelists, who thrive more on the latest trends and the “internet of everything”. While companies are soon moving to this IoT era, Wee said, in the next five to seven years, there will be 37 billion new items connected via the internet. “It is quite significant and change will no doubt come. But the question to ask is, how will this change impact your strategy?” Wee added. He urged marketers to study the revolution of marketing and quickly decide on their next strategic plan. Another area to take note of is the attitude of the generation itself. The boomers are said to ‘live to work’, with Gen X more on ‘work life balance,’ while Gen Y are probably the ‘work to live’ people, said Wee. Wee added that the next generation, Gen Z are predicted to live by the world of ‘automatic’ life. “Kids nowadays expect things to be done for them. Do they think about when they’ll have their next holiday? Appointments and transportation? It is all arranged for them. They live in an ‘automatic’ life and that’s their expectation as well when they grow up,” said Wee. The Gen Z customers will want products and services where and when they need it, and that is where marketers could consider implementing ‘contextual marketing’. Ultimately, the best move forward would be to avoid complacency. Complacency, Wee said, will kill business and technology is the one that will drive growth in the future. Marketing’s role has always been connecting businesses to consumers, and this will stand true in the future. Publicis is said to be considering a tender offer for about a 30% stake in Seoul-based Cheil Worldwide, which would make it the si..